When we calculate mixing timescales in reactors and crystallizers [Liquid mixing: batch and fed batch mixing times], we leverage the work of Stanley Corrsin, one of many pre-Internet scientists who laid foundations for our predictive abilities. His paper, [Simple theory of an idealized turbulent mixer, AIChE Journal, Volume 3, Issue 3, pages 329–330, September 1957] showed how the time constant for mixing depended on the rate of dissipation of turbulent kinetic energy. For Hans Liepmann  on the occasion of his 70th birthday, with apologies to Bill S. and Liz B.B. Shall we compare you to a laminar flow? You are more lovely and more sinuous. And summer’s plumes churn up in cumulus. How do we perceive you? Let me count the ways. 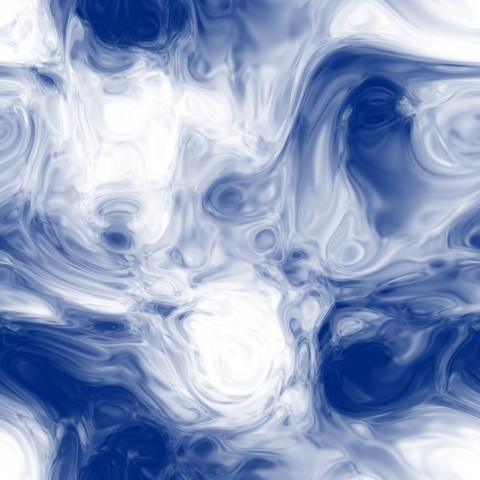 A random vortex field with strain entwined. May give us paradigms of flows to find. As strange attractor. In fact, we need Cray 3’s . For serious searcher, fun ... and it’s a living!